All received wisdom about acclimatisation suggests that you should spend a few days taking it easy at altitude before commencing on a trek. So when I arrived in Cusco in advance of trekking the Inca Trail, I had a few days to spare to explore locally. I had already planned a tour of the Sacred Valley, but decided it would be fun to see the Valley from its river; The Urubamba. I had opted for this as an acclimatisation exercise because I figured I would be sitting down and it wouldn't really count as exertion. 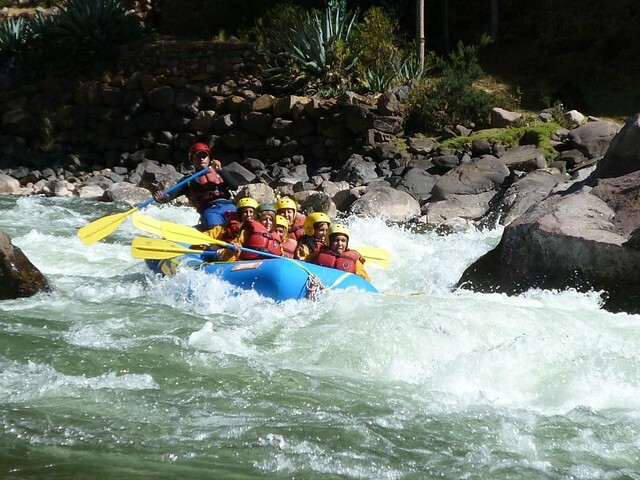 As it turned out, there is more to rafting than meets the eye. You have a very long and involved safety briefing which instilled the fear of God into me, I was planning a gentle drift down a river and here I was being given instructions on capsizing. I needn't have worried, though. Once you get into a rhythm of paddling it is a lot of fun. 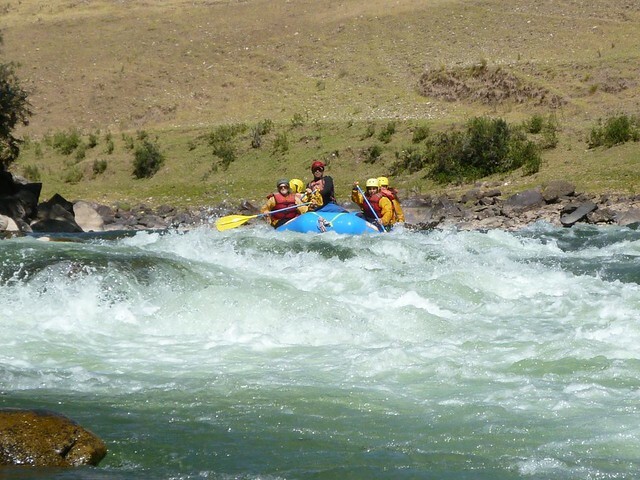 The class 3 rapids were big enough to give me an adrenalin rush and fast enough that I forgot all about my impending trek and concentrated on paddling like crazy through the water. It was a fantastic way to let off steam. Buoyed by my success, I returned to Cuso elated. If I didn't make the Inca Trail, it wouldn't matter, I clearly had a future career as professional rafter. This trip only operates from April to November. 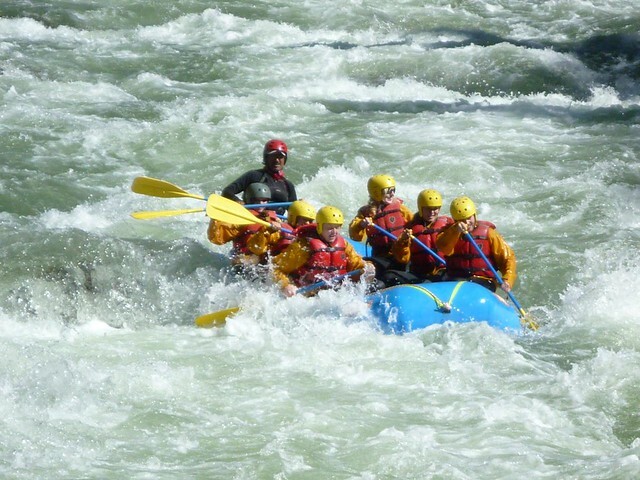 We recommend this trip for the over 12's as the rapids can be too rough for younger children. If you have younger children and would like to include a gentler option in your itinerary, please get in touch.